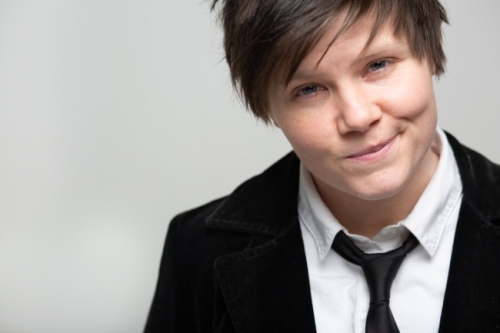 Leicester-based protest and folk singer Grace Petrie has been forging her own path as a self-sustaining DIY artist for the past ten years. She’s supported the likes of Billy Bragg and Emmy The Great, having built up a loyal fanbase across the country with her powerful and emotive repertoire of social commentary songs about equality, identity and politics. Last month she released her first full studio album Queer As Folk, which was fully funded by her fans in a Kickstarter campaign (£10k was raised in 24 hours), and has since garnered tastemaker praise from the likes of the Observer, fRoots, R2, Diva, Pink News, and Folking.com, as well as radio support from BBC 6 Music’s Tom Robinson, Radio 2 The Folk Show, Diva Radio and Folk Radio UK. This infectious and upbeat fiddle-driven ode about gender divisions and stereotypes is the rousing and thoughtful lead single from the album that will surely be a crowd pleaser live and across specialist radio airwaves. Later this week, Grace will be heading out on a 17 date headline tour across the country with seven dates sold out to date and then will be back on the road in early 2019 supporting Frank Turner on his UK arena tour. If you haven’t seen her play live, her London tour date at Tamesis Dock is already sold out but you can catch her supporting The Dresden Dolls at the Dome (27 October) in London.